GM has recalled more than 2.6 million vehicles with a faulty ignition switch. More than 2.2 million vehicles were sold in the United States. The company has fixed 60 percent of vehicles with faulty ignition switches, but nearly 1 million vehicles are still outstanding. More than 70 deaths have been verified in General Motors (GM) vehicles with a faulty ignition switch. Thousands of individuals have been harmed and millions of GM cars have been recalled. Goldberg Weisman Cairo class action attorneys are investigating and filing lawsuits on behalf of drivers injured in recalled GM vehicles. For more than four decades, Illinois’ largest personal injury law firm has fought for the rights of injured Americans. The firms trial attorneys have extensive experience handling automobile recalls and personal injury lawsuits. Everyday Americans who cannot go up against negligent auto companies by themselves come to us to get the justice they and their families deserve. Our case results do not lie: we have recovered over a $2 billion in awards, judgments and settlements on behalf of our clients. If you or a loved one was involved in a car accident where a defective ignition switch turned off the engine or disabled the airbags, you may be entitled to financial compensation. Whether you were injured directly or you have a loved one who has been harmed, our firm will walk you through the personal injury process. We are currently accepting defective ignition switch cases in every single state in the United States. Remove everything from the key ring, including the key fob, and leave only the car key. Before exiting the vehicle, place the car in park or, if it is a manual transmission, in reverse. For all cars, set the parking brake before exiting the vehicle. Contact your local GM dealer to schedule an appointment and add your car to the replacement parts waiting list. The company also has an ignition switch recall hotline that consumers can call for answers to their questions. n the recalled GM vehicles, the faulty ignition switch may be jarred out of place and disable the cars electrical system, including the engine, power steering and airbags. 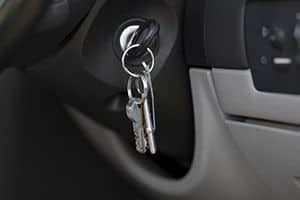 The weight of keys on the key ring, can switch the ignition switch from the on position to the off position. The first death related to airbag failures caused by the ignition switch occurred in 2005 when Amber Marie Rose died in her 2005 Chevrolet Cobalt in an accident where her airbags failed to deploy. The vehicles listed below have been recalled by GM for a faulty ignition switch. Attorneys for families that have been injured report that GM was aware of the ignition switch problem as early as 2001. The company had the issue repeatedly brought to its attention and declined to act. It was not until 2013 that the company began limited recalls. Auto companies, such as GM, have a legal duty to produce safe vehicles. When dangerous defects are discovered, the companies are supposed to immediately correct the defect and report the defects to the public and federal auto safety regulators. GM failed to uphold its obligations. The company is being sued so that individuals can recover financial compensation covering medical injuries and pain and suffering, among others. Brooke Melton, one of the first casualties in the GM ignition switch debacle, died in 2010 when her Chevy Cobalt ignition switch turned off the engine and the airbags. Melton became involved in an accident on a Georgia highway and died from her injuries. The wrongful death lawsuit filed by her family and settled in 2013 led to the recall of millions of GM vehicles with faulty ignition switches. The family returned the $5 million they received in the first settlement and sued the company a second time. They settled out of court for an undisclosed amount that was greater than the $5 million the family received during the first settlement. Despite the Melton family’s settlement, additional cases are moving forward against GM. When the National Highway Traffic Safety Administration (NHTSA) evaluated the delays in GMs recall announcements, the federal agency fined GM $35 million. Transportation safety officials reported that the companys investigators knew of the defects and knew that executives failed to act. GM did not announce the first recalls until February 2014, when the NHTSA announced an investigation into GM. The NHTSA has set up a free Vehicle Identification Number (VIN) tool that allows consumers to type in their VINs to get an update on the status of their vehicles. The site has information about recalled vehicles going back at least 15 years. All of the major auto manufacturers were required to provide this data and make it publicly available to car owners. In response to widespread reports of serious injuries, GM set up a victim compensation fund in late 2014 to compensate victims harmed in auto accidents with a faulty ignition switch. Kenneth Feinberg, an attorney, has been tasked with overseeing the fund, evaluating claims and offering settlements to injured victims and their families. The fund has set a $1 million base payment for ignition switch accidents that have caused a death. Thus far, the fund has received more than 4,300 claims. Of those claims, 435 claims were for wrongful death. Another 280 claims involve quadriplegia, paraplegia, amputations, permanent brain damage and widespread burns. Feinberg says that the fund will continue to evaluate claims. More than 70 death claims have already been settled. The total estimate for resolving all of the claims is projected to be between $400-600 million. There is no cap on the amount of damages the company is willing to pay, so the final cost may exceed $600 million. The deadline for filing a claim was Jan. 31, 2015 and the fund is not accepting any new claims. However, individuals who have an existing claim can continue to electronically file supporting documents for their claims.